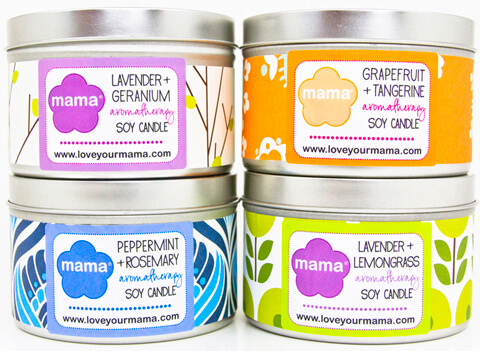 Mama® hand-poured soy candles are made of 100% natural wax derived from soybeans. Soy candles burn cleaner and longer without the build up of soot, which means cleaner air in your home. Soy wax is water soluble, for easy clean up of wax spills. Our candles are richly scented with pure essential oil blends and offer aromatherapy benefits.